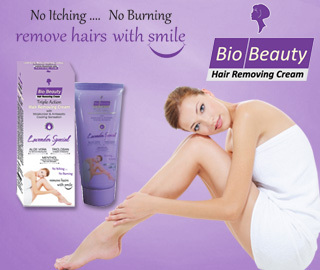 BIO BEAUTY HAIR REMOVING CREAM For people with unwanted hair, there are quite a few options to get rid of the problem. The quickest and easiest solution, of course, is to shave. However,shaving is a grueling daily chore that requires constant upkeep. Electrolysis is a rather costly – and extremely painful – alternative; it’s a method that frequently requires multiple trips to the salon to finish the job adequately. Waxing is sticky, messy and a tad unreliable. Laser hair removal treatment is the best bet for permanent hair removal. However, the procedure is so expensive, for most people, it’s financially out of reach. 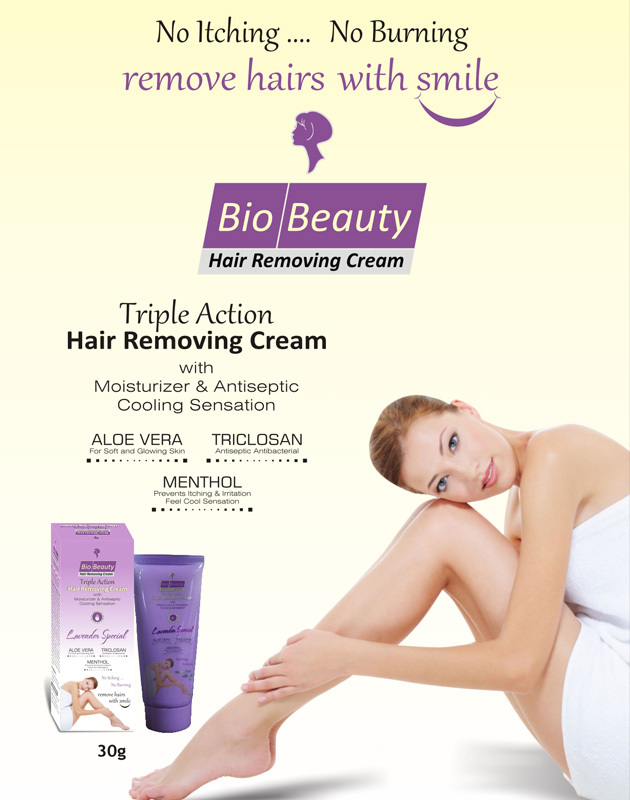 Welcome to the world of Hair removing cream: Bio Beauty Hair Removing cream effectively erases the need for most of the less-than-desirable options. To use the product, consumers simply need to smooth the cream onto areas of the body with unwanted hair. After a short period, users can gently wipe the cream away to reveal smooth, hair-free skin with no redness, bumps, or bruising left behind. Customers rave about this particular benefit of using the cream – as many other hair removal methods usually leave behind unsightly scarring or skin irritation. This product is spectacularly effective for males and females alike. In addition, it’s completely safe to use almost anywhere on the body. In fact, after regular and continued use of the product, many find that hair regrowth begins to slow to a crawl. This means less need to apply the cram to the skin, and more money saved in the long run. Simply apply the cream on to your skin, spread evenly with the help of the perfect touch spatula, wait for 5 minutes, and remove hair with the spatula. (if required, leave the cream on for a bit longer but do not exceed 10 minutes). For external use only. When using this product keep out of eyes. Rinse with water to remove. Stop use and ask a doctor if rash or irritation develops and lasts. Do not use on open wounds. Keep out of reach of children. If swallowed, get medical help or contact a Poison Control Center right away. Not intended for use on open wounds. Hair removal creams can irritate sensitive skin, even causing chemical burns. Do a patch test by applying a small amount of the cream to the inside of your arm. Remove in the allotted time, and check for redness, swelling or irritation. Discontinue use and clean with an antiseptic cleanser and treat with antibiotic ointment if irritation occurs.